Surface: everything from sealed road to rocky/muddy tracks. Rough and steep sections. Can be done on a gravel-type bike, though you will probably have to push at times. Some may prefer a MTB. Wide tyres will help. It's a big one. This route traverses the high country on back roads and trails, taking you through some spectacular and remote country. It's not all punishment and wilderness though. The first part is a cyclist's paradise: an easy ride on the Murray to Mountains Rail Trail through a region with heaps of delicious produce and attractions. There's a cheesery and a mustard shop in Milawa, a brewery and a honey shop in Beechworth, another brewery in Bright and a berry farm in Porepunkah, to give you a small sample of what's on offer. There are also plenty of wineries, MTB trails, places to stay and interesting local history, particularly in Beechworth, a 'ye olde' town with a well-preserved main street. It's well worth taking a diversion or two if you've got the time. Check out the links below for more tourist info. You start to get off the beaten track when you turn onto the Buckland Valley Road at Porepunkah (km80). The ride up the Buckland Valley is very pleasant, with the river and plenty of free and gorgeous bush camping on your left. When you turn onto Mt Murray Track North (also known just as Mt Murray Track, km121), however, the hard work begins. The next 23km involves lots of steep climbing on rough tracks, and unless you're a skilled mountain biker with a light load and some teeny gears, you'll be pushing a fair bit. It's slow going so allow plenty of time. The rewards are there though; it's sensational riding for those who like off-road work, and the scenery is beautiful and spectacular. Turn left once you get to the Twins Jeep Track (km130) and follow it until the intersection of the Great Alpine Road and the Dargo High Plains Road (km143). From here the road surface improves greatly. Take the Dargo High Plains Road and enjoy the undulating 62km ride over the high plains and bushland to Dargo, where there's a good pub with great value accommodation in cosy log cabins. The high plains are a really unique and beautiful environment, definitely a highlight, and the descent into Dargo is very very fast on sealed road. 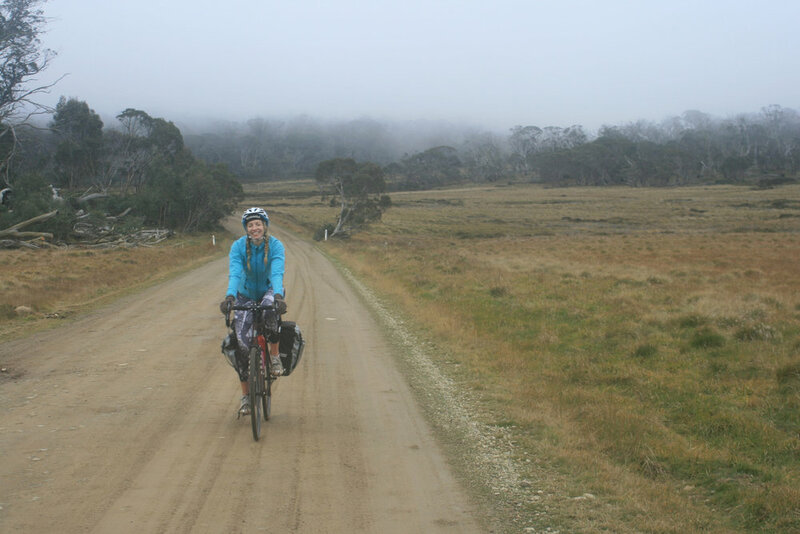 From Dargo it's about a 90km ride on sealed roads to Bairnsdale, featuring some hills, bushland and lush agricultural land. If you crave more gravel riding, you could turn right at 246km onto Freestone Creek Road. This road follows the Freestone Creek until you get close to Stratford, which is on the Bairnsdale train line. I haven’t done this road bit I’ve heard it’s very scenic, and features great campsites and swimming spots. NOTE: Between Porepunkah and Dargo there is nowhere to buy food, and water can only be obtained from rivers and streams. 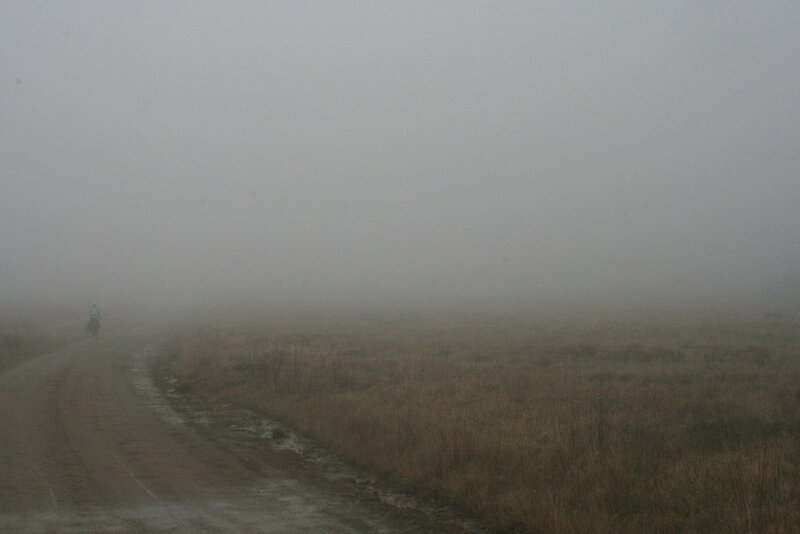 The roads are rough and the weather can change quickly and unexpectedly at altitude. To tackle this ride you need to be prepared, fit and experienced. High Country gourmet region—beer, wine, cheese, olives, honey, berries, restaurants, etc, etc, etc. It can get cold, wet and windy at any time of year in the alps. Be prepared for sub-zero temperatures. During winter you will most likely have to push through snow, but it can snow well outside of winter too. Some roads may be affected by seasonal road closures. In warmer months, be prepared for extreme heat and bushfire threat. Check the Vic Emergency website for the latest warnings, or download the app. UV intensity is extreme at altitude. V-line runs three train services a day to and from Wangaratta and Bairnsdale. Remember to check for planned service disruptions. Read this post for more info on using the train network with your bike. Hema High Country Victoria—Covers the whole ride in great detail and printed on tough waterproof paper. Highly recommended. General tourist information for the High Country—heaps of info on aforementioned culinary delights, as well as lots of other stuff. Well worth a look.